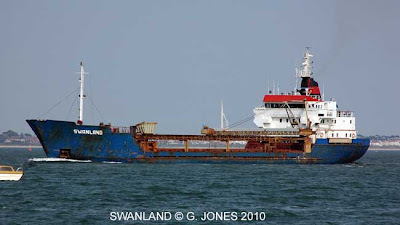 BBC news reported this morning 27/11/2011 the cargo vessel Mv Swanland had sunk in bad weather in the Irish Sea. 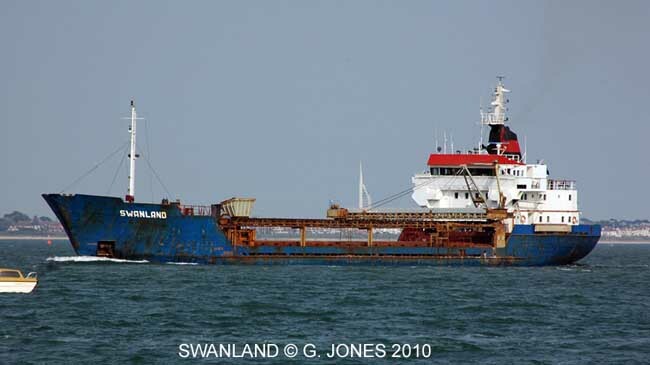 Swanland, built in 1977 was carrying 3,000 tonnes of stone from Raynes Jetty in North Wales to Cowes in the Isle of Wight, when she sent out a mayday call 30 miles off the north west coast of Wales at 02:00 GMT. Two crewmen were rescued and five Russian crewmen are currently missing, vessels in the area Mt Bro Gazelle, Mt Monsoon and Mt Keewhit were assisting the RNLI, along with RAF rescue helicopters from Anglesey, Cornwall and the Irish Republic. Latest : Sad news reported that a body has been recovered from the sea near the scene, and an empty life raft was recovered, but was empty. Two of the survivors were flown to the local hospital in Bangor, who described the vessel being hit by an "enormous wave" which rolled the vessel over and then broke in two. Rescue services are deciding to call off the search for tonight and resume again in the morning. Let's hope all crewmen can be rescued and our thoughts are with those involved at this tragic time. Fire broke out on the merchant vessel Mv Khalijia III on Monday afternoon 15th November 2011. The fire was brought under control 3 hours later. Mv Khalijia III has been docked at the port of Mumbai ever since its collision with MV Chitra last year, causing the worse ver oil spill in the Arabian Sea. Three shipyard workers were injured onboard suffering severe burns. The fire brigade received a call at 4.30pm saying there was a fire in the engine room of the ship. The fire brigade said the workers, who were in the process of scrapping the ship may have been using gas cutters. Sparks from must have come in contact with the residual oil within the ship. When contacted, the Sewri police said they were investigating to find out whether there was any negligence on the part of the workers who are scrapping the ship. "It was an accident due to some residual oil around the area that was being welded. The vessel is being scrapped at Darukhanna shipbreaking yard in Mumbai, so it must have happened during the scraping process,” said director general of Shipping S Agnihotri. Information given in good faith. Interesting to note that the company that bought the two vessels have removed any mention of them from their website, obviously not good publicity for them. 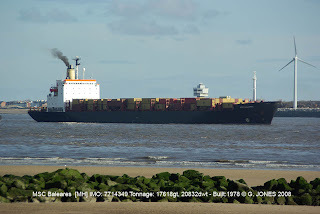 Then a post was put on the shipspotting website yesterday [11/11/2011] asking if anyone was interested in buying memorabilia from the two vessels before the breaking up of the two vessels started in 15 days time, the post gave the impression that it was from the shipbreaker in Alang, It seem that the posting was quickly removed. The controversy about the sale of the vessels was raised after The Gulf News obtained photos of the ferries formerly known as the MV Joseph and Clara Smallwood and the MV Caribou beached at Alang, India. The photos confirmed what had been rumored for weeks - that the ferries had gone directly from North Sydney to the beaches at Alang, India to be broken down for scrap. Alang has a reputation for unsafe working conditions and unsound environmental practices, and that presents a problem according to MP Leslie. She said legally, Canada has laws against the disposal of ships in this sort of manner. In a seven-page document released by Marine Atlantic last Wednesday (click here to read it), the Crown corporation gave a detailed account of how it went about selling the two ferries. The document disclosed that the MV Caribou was sold for $3.875 million and the MV Joseph and Clara Smallwood was sold for $3.8 million. Marine Atlantic said one stipulation of the sale was that any dismantling of the ships would be done in a “green” facility up to International Marine Organization (IMO) standards. For the opposition critic, the green disposal clause in the sale contract points to a bigger problem. 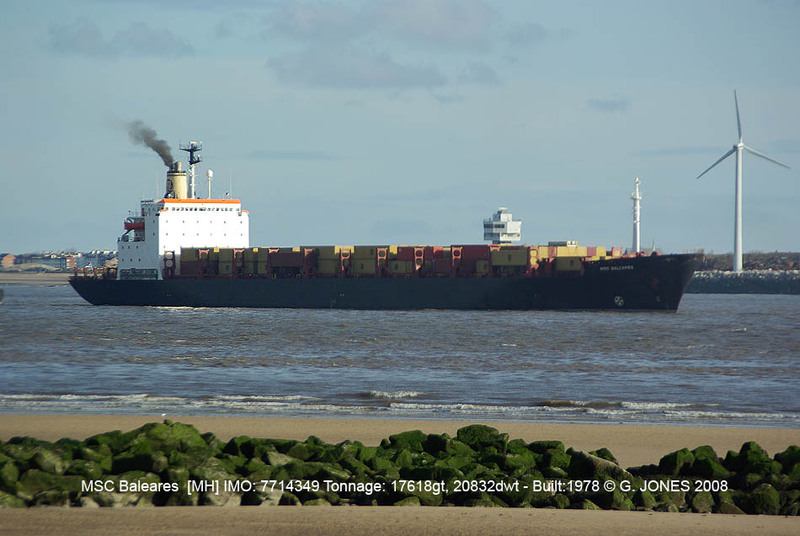 “If they knew enough to put it in as a term of sale, then they knew enough to know it might be breached and they knew enough to know these ships might end up on a beach in India,” said MP Leslie. The ships were sold to two separate buyers but ownership changed hands within a few months to a single owner called Best Oasis Limited of India. Until last week, Best Oasis Limited’s website had the Caribou and the Smallwood listed under its list of achievements. Some ships under the achivements list had a date under the heading “date beached” although the Caribou and Smallwood did not. Sometime last week, that list was replaced with an email address and a notice telling readers to write the address for more information on the company’s achievements. Marine Atlantic said it did not recycle the vessels itself because it would not fit into its business model and the corporation lacks the expertise to do such work. The corporation said it did not pay to have the vessels recycled because it was seeking the best financial return for the people of Canada. MP Leslie wondered if the federal government might have found opportunity in developing a green shipbreaking industry in Canada, especially in light of two multi-billion dollar shipbuilding contracts recently announced. “I don’t know if that is feasible but it is worth exploring,” she said. She also noted the shipbuilding contracts are to replace aging military vessels. She said if it’s too late to do something about the ferries, the federal government needs to make plans so outgoing military vessels are disposed of properly. While Marine Atlantic has said legal action is a possibility, MP Leslie said she doesn’t see that as a realistic option considering the potential cost. What she would like to see is the problem addressed so that this doesn’t happen to more Canadian vessels. Information is gathered from various sources and given in good faith and cannot be guaranteed. Information comes from various sources and cannot be guaranteed.